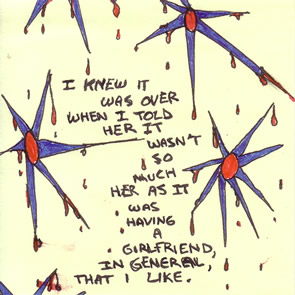 "I knew it was over when I told her it wasn't so much her as it was having a girlfriend, in general, that I like." Purchase this genius sticky note art on attention-getting shirts, clever coffee mugs, cruel buttons and much, much more! .